Want to try an inflatable stand up paddle board? Come to the Float-Shack, rent a NRS inflatable stand up paddle board. We’re not of course talking the type of cheap beach inflatable shaped like a shark or a dolphin but, a rather high quality item which is rigid enough to allow someone to stand on it, when pumped up to the recommended pressure (approx. 12-15 psi). An inflatable stand up paddle board is capable to take on such pressure due to it’s drop stitch construction. The process starts by joining two pieces of polyester woven support fabric with thousands of fine polyester thread lengths. This base material is made in strips from five to ten feet in width, and up to 400 needle heads may be used in the setup. Each needle sews a continuous, evenly spaced thread, back and forth between the two pieces of woven fabric, locking them together into an incredibly strong unit. These drop-stitch sewing machines are marvels of complexity. When a change is made in the spacing distance between the two pieces of woven fabric, it can take over 20 days to remove and replace the required needles. 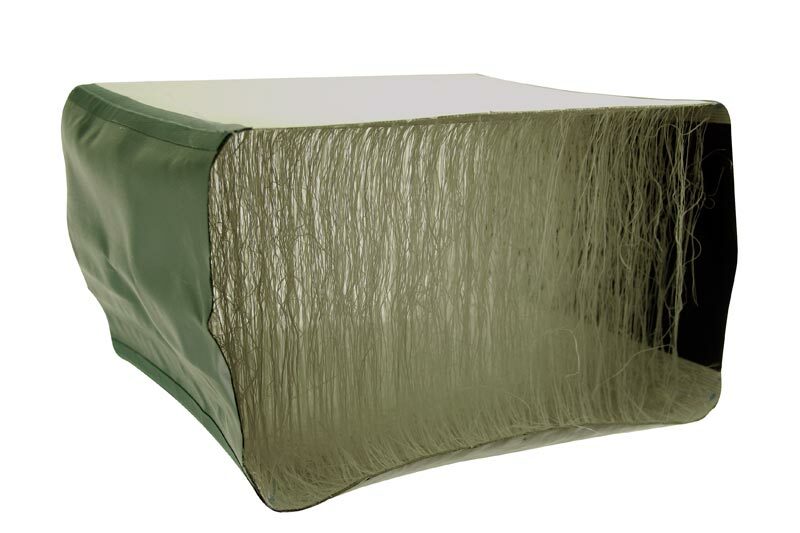 The tens of thousands of polyester threads create a super strong inflatable material. Every inflatable stand up paddle board package comes with a hand pump. It will take 5-7 minutes to bring each SUP to the recommended pressure. All rental paddle boards at the Float-Shack cone fully inflated. Just as the surf board industry has put a good deal of emphasis on shape, now this has transferred over to the inflatable stand up paddle board market. New shapes allow for a better glide on flat water and better rocker design aids in whitewater flotation. Long gone are the days of one size (and shape) fits all. Reserve an Inflatable Stand Up Paddle Board TODAY! Inflatable SUP or inflatable paddle boards are gaining in popularity. This newer design has its advantages. 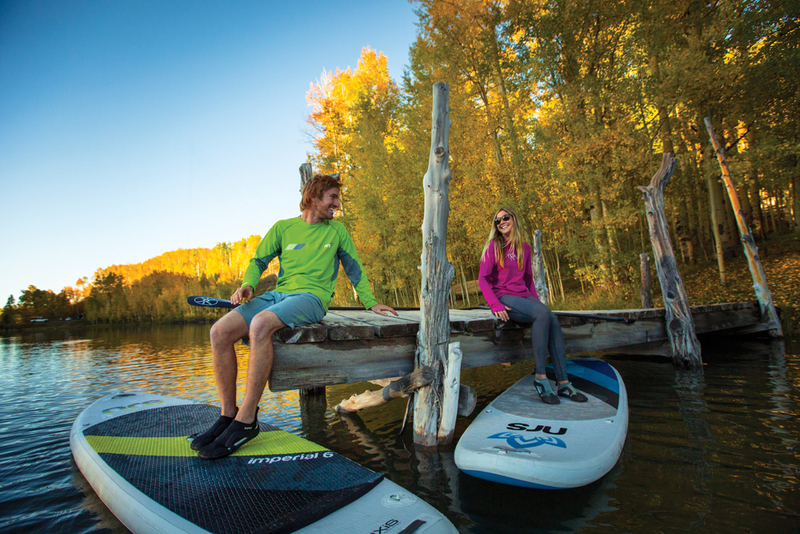 In fact, durability and storage are the most common advantages of the inflatable SUP. However, an inflatable SUP is not the correct choice for long distance paddlers or most racers. 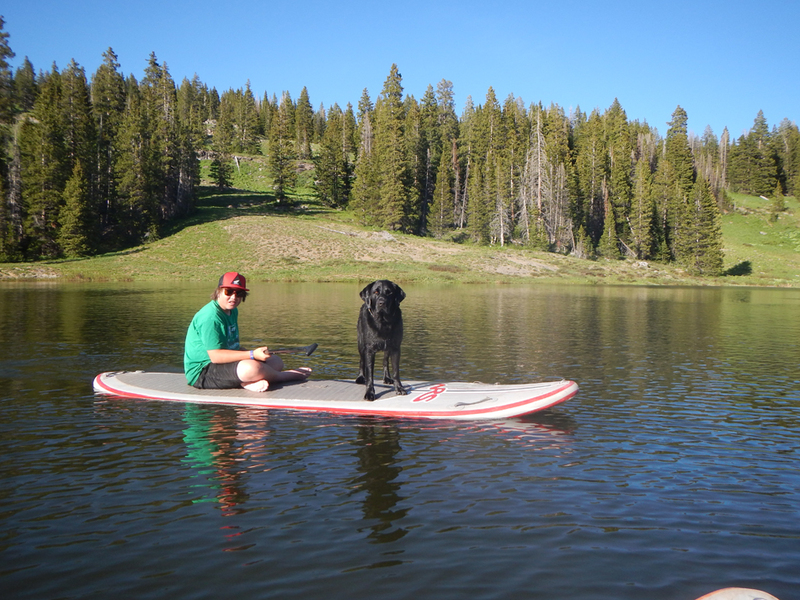 Inflatable paddle boards do not offer the same glide that the conventional foam and fiberglass rigid ones offer. The design concept for the inflatable SUP might have originated from an 1871 US Patent filed by Isaac Ferris. In his kite patent, Ferris describes connectors between the two surfaces of an air-foil wing. “It may be necessary to connect the two walls by one or more additional connections, to prevent the kite from assuming too round of a shape.” – Circa 1871 for Ferris. Next, an experimental airplane, the Goodyear Inflatoplane, was constructed using an inflatable I-Beam. This was actually a sandwich of two rubber-type materials connected by a mesh of nylon threads. Built in 1956, with the idea that it might be used by the military as a rescue plane, the Inflatoplane was never put into production. After getting refined many times over, this concept is now refereed to as the drop stitch. Most drop stitch inflatable SUP boards allow for maximum air pressure north of 15 P.S.I. Therefore, many newcomers into the sport sometimes realize upon returning their rentals, that the equipment was, in fact, inflatable sup boards. So, who prefers the inflatable SUP over the classic rigid varieties? The paddlers who are looking for space saving storage. A typical rigid board is difficult to store, because they tend to take up a lot of room. 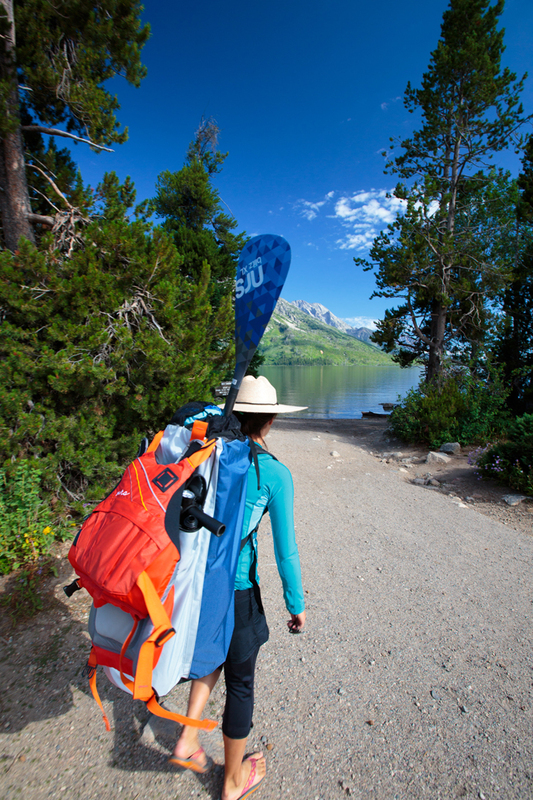 Whereas, an inflatable SUP is the size of a large backpack or suitcase once deflated. Also an inflatable stand up paddle board tends to be more durable than their rigid counterparts. The fiberglass coating on a rigid is fragile. A simple drop or contact with a rock might crack the shell and allow water to enter the foam core. Repair can be costly for fiberglass finishes. The inflatable paddle board is constructed similar to a commercial river raft. The materials are abrasion and puncture resistant. The only downside to an inflatable paddle board is for long distance paddlers. 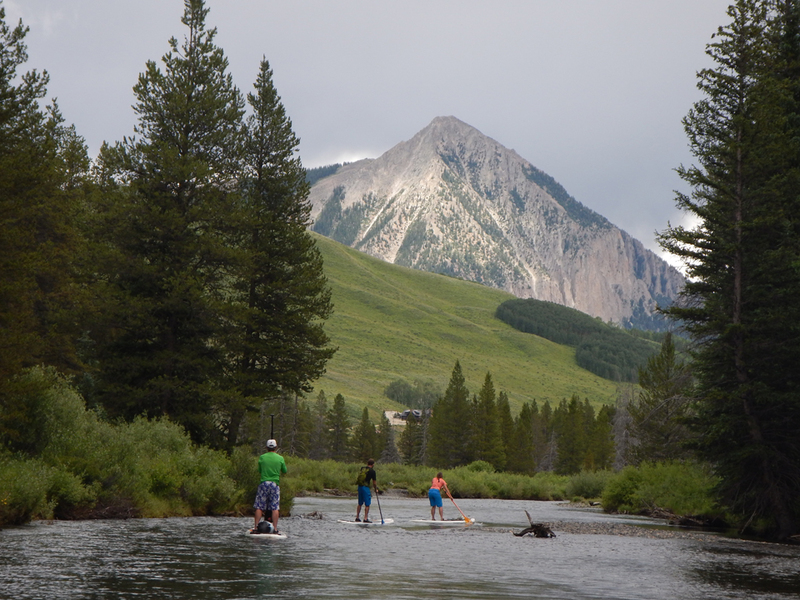 A rigid board has better glide, therefore is better for racing and adventure paddlers. The inflatable variety will still work, the energy spent to paddle the same distance will be greater due to more drag. Inflatable paddle boards have quite the history. Starting as a kite, then moving to a plane before lending design to water sports. The characteristics of inflatable paddle boards have grown popularity due in part to increased durability and ease of storage.